In its six years, the Porsche Young Driver Academy (PYDA) has provided 25 of North America’s brightest young road racers a unique opportunity to hone their skills in the classroom and behind the wheel of a Porsche 911 GT3 Cup car. 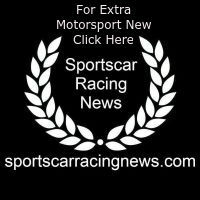 Founded in 2012 by Porsche Cars North America (PCNA) and Porsche Motorsport North America (PMNA), the PYDA brought four drivers from IMSA and the Pirelli World Challenge to the Porsche Sport Driving School at Barber Motorsports Park in Alabama for two intensive days of education and evaluation. Rodrigo Baptista (Sao Paulo, Brazil), Michael de Quesada (Tampa, Florida), Trenton Estep (San Antonio, Texas) and Zach Robichon (Ottawa, Ontario, Canada) were selected to the 2017 class, held October 22 – 23. While not a test or shootout, the Academy puts the four drivers through concentrated classes with the objective to broaden and sharpen talent not only in the racecar but also out of the cockpit as well. This is reiterated through the order of events and the time dedicated to both classroom and track work. While still young – the oldest of the quartet is 25-years-old – each driver has experienced race wins behind the wheel of a Porsche. Three of the four campaigned in the Porsche one-make classes of IMSA in 2017. de Quesada and Robichon in the Ultra 94 Porsche GT3 Cup Challenge Canada by Yokohama, Estep in the GT3 Cup Challenge USA by Yokohama. 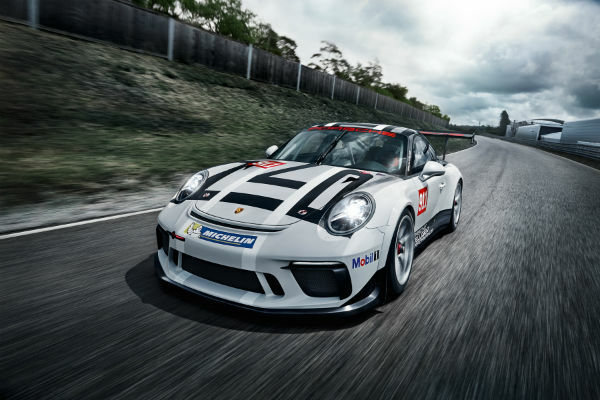 Both series utilize the Porsche 911 GT3 Cup car. Baptista raced, and won, in the Pirelli World Challenge GTS class piloting a Porsche Cayman GT4 Clubsport MR. The first full day of PYDA was held in the Porsche Sport Driving School classroom with personality profiles, technical briefings, media training and more. The diverse curriculum provides each participant with the tools and understanding needed to maximize themselves in the variety of situations a professional driver will face throughout his or her career. While fine-tuned each year, the Young Driver Academy syllabus is founded on the principles and practices of Porsche’s European Junior selection process. Originally drafted for the North American market by the continent’s only Porsche factory driver Patrick Long (Manhattan Beach, California) and then PMNA president and CEO Jens Walther, the core of the program beckons back to when Long himself took part in the selection process. New PMNA president and CEO Dr. Daniel Armbruster has continued to show great enthusiasm for the program. The comprehensive Academy experience included classroom exercises, on-camera interviews with sports broadcasting talent Jamie Howe of FOX Sports, renowned motorsport documentary maker JF Musial of Tangent Vector, media training with Dave Engelman, Spokesperson, PCNA Motorsports and Brand Heritage and personality evaluations by Life-Long Leadership’s president and CEO, Christina Kisley. Owen Hayes, Director of Operations for PMNA, provided technical training and constructive critique throughout the process. Hayes’ decades of experience includes tenure with the Porsche RS Spyder program prior to overseeing the day-to-day operations of PMNA’s multitude of customer programs in IMSA, the Pirelli World Challenge and various one-make cups. Racing legend and lead Porsche Sport Driving School instructor Hurley Haywood (St. Augustine, Florida), Long and GT racing champion Andrew Davis (Athens, Georgia) each offered firsthand knowledge on car setup and data acquisition trackside and in the classroom. These three not only share invaluable experience behind the wheel of Porsche racecars, they each have an intimate understanding of how to be successful in and out of the car. Michelin once again partnered in the PYDA with complete sets of racing slicks for each of the competitors. Porsche has a long history of driver development. One of the first manufacturers to create a “factory driver” group also features “Junior” and “Young Professional” programs to assist young racing talent outside of the “works” efforts. The Porsche Young Driver Academy was founded by two arms of Porsche on this continent to recognize and help develop the talent of drivers competing in a Porsche one-make series, Porsche drivers who are currently racing in a non-one-make series or an IMSA-sanctioned development series that does not employ Porsche racecars. The results of the 25 drivers through the program since its inception are a perfect example of the Academy’s founding precept. Participants include drivers with major domestic and international championship and race wins. 2015 class members Jesse Lazare and Daniel Morad, along with 2017 graduate Michael de Quesada, teamed with Porsche factory driver Michael Christensen (Denmark) to win the GTD class of the Rolex 24 At Daytona to open this past race season. In 2016, Alec Udell, 2015 class, captured the one-make GT Cup class of the Pirelli World Challenge in his Porsche 911 GT3 Cup car racing against 2014 grad Sloan Urry, Part of the 2014 class were Scott Hargrove, who won the 2014 and 2017 GT3 Cup Challenge Canada championships. 2016 graduate Trent Hindman has won four Continental Tire SportsCar Challenge races behind the wheel of a Porsche Cayman GT4 Clubsport in the last two IMSA seasons. Owen Hayes, Director of Operations, Porsche Motorsport North America. Dave Engelman, Spokesperson, Motorsports and Brand Heritage, Porsche Cars North America.